It was a great first run of the I Don’t Know Tour! After two weeks in Austin, the tour traveled to Nashville, Dallas, Orange Beach, Atlanta and most recently a stop in Houston for the live concert broadcast. It was there, in Texas, that we surprised Jimmy with special guest, JJ Watt (ahem, defensive end for the Houston Texans)! Look at them together with Jimmy’s newly signed jersey! 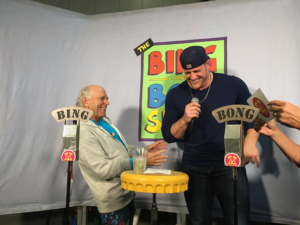 Jimmy and Michael Utley had some laughs with JJ on the Bing and Bong Show, as they discussed JJ’s first Jimmy Buffett concert at Alpine Valley when he was in college. His crew rented a school bus for the tailgate, and while driving home home, got a little hungry and fired up the grill on the highway! 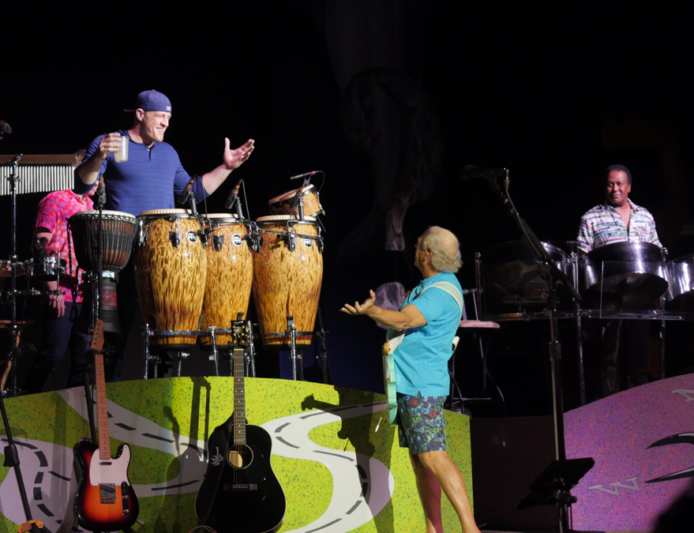 JJ was able to cross something off his bucket list when Jimmy asked him to come out on stage to perform “Margaritaville.” Almost poetically, JJ walked out with a margarita in hand as a featured Coral Reefer guest and the crowd went crazy! 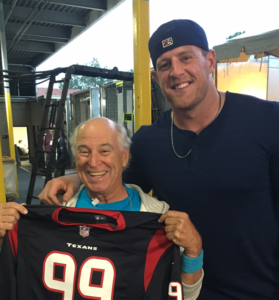 Check out realfootballnetwork.com on Monday to hear the JJ Watt interviewed on the new Margaritaville Coconut Podcast! See you all in Detroit!